For the second year in a row, Minnie Mouse is getting a special event to celebrate her fashonista status and signaure style. Both Disney Springs at Walt Disney World and Downtown Disney District at Disneyland Resort will have tons of fun and flair to share on January 21, 2018! 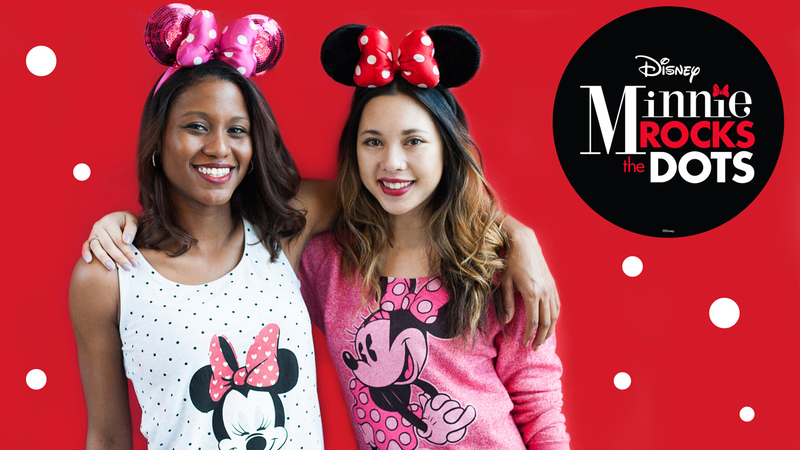 Minnie Rocks the Dots is back! Image Courtesy of Disney Parks Blog. At Disney Springs, the fun begins on January 18, when Bibbidi Bobbidi Boutique will begin offering a Minnie Dot Package with a tutu, t-shirt bow and Minnie Mouse hairstyle – book in advance by calling 407-WDW-STYLE. Anyone who books this package from January 18-22 will be eligible to receive a complimentary Minnie Mouse dessert from Amorette’s Patisserie… how sweet! Bibbidi Bobbidi Boutique is offering a very “Minnie” package! Image Courtesy of Disney Parks Blog. Also on January 18, PANDORA Jewelry will release a new limited-time Minnie Mouse gift set featuring three Minnie Mouse-inspired charms that comes with the gift of a Minnie scarf while supplies last. at PANDORA! Image Courtesy of Disney Parks Blog. On January 21, the real party begins anGuests can discover over fifteen retail offers from Jan 18 – Jan 22, including savings at American Threads, Basin, Arribas Brothers, JOHNNY WAS, Luxury of Time by Diamonds International, Sperry, Sugarboo & Co. and Volcom. At Alex and Ani, the first 100 guests each day will receive a free gift along with daily in-store surprises. At Coach, a free gift with any purchase is in the bag for all event guests. M.A.C. Cosmetics is also participating with a complimentary “mini” Minnie-inspired demo. A handful of food and beverage locations (Blaze Fast Fire’d Pizza, Joffrey’s Coffee and Tea, Paddlefish, D-Luxe Burger, The Ganachery and Sprinkles) will feature discounts and/or Minnie-themed products as well, so bring your appetite, too. On January 21, the main event showcases a DJ Dance Party in the heart of Town Center from 1 – 6 p.m. where Minnie Mouse will make frequent appearances. I’ve been told to expect a few wardrobe changes, and can’t wait to see which of her many signature looks she’ll sport. Keep an eye out for a photo backdrop sponsored by PANDORA Jewelry; Disney PhotoPass photographers will be on site to capture the moment with fun props and frames to ensure you strike your most stylish pose. If you want to start the party early, Paddlefish will offer a “polka dot brunch” from 12 – 3 p.m. that infuses a bit of pampering to the meal: complimentary hand massages from L’Occitane and make-up applications from Sephora are on the menu. That sounds like a celebration fit for a princess… or mouse!!! Fun fact: Minnie Mouse will (finally!) be getting her very own star on the Hollywood Walk of Fame! You go, girl! 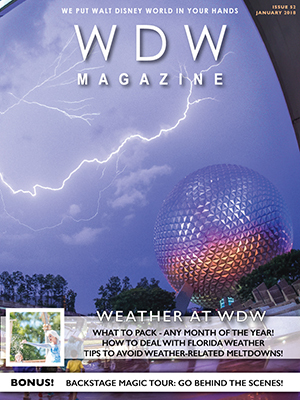 Subscribe to WDW Magazine today for access to all of our issues – including our first issue of 2018!